I previously shared that leading up to our gender reveal I was very certain we were having a girl. In fact, I pretty much had Vishnu convinced and excited about that possibility. I was kind of shocked when we cut into those cupcakes and saw blue icing. BOY MOM! My gut instinct was wrong! I think a huge part of me was nervous about having a boy. I even asked Vishnu later that night, “Do you think I’ll know how to be a good mom to a boy?” Thankfully, he didn’t laugh at me because I was legit concerned! The minute I saw Kaiden’s face for the first time, every fear I had about being a boy mom dissipated. I just knew this little boy was given to me for a reason. I was meant to be HIS mom! ONE – I knew our bond would be strong, but I never thought it would be this strong. Kaiden is a mama’s boy all the way, but it’s more than that. I feel like I truly get him, and in some ways, he gets me at a much deeper level. Annnnnd other times we’re at odds over what I’m serving for dinner…haha! TWO – Boy names are hard to come up with. I’ve had a girl name (that Vishnu also likes) picked out for ages. But after we found out we were having a boy, we essentially spent my entire pregnancy going back and forth with names. Vishnu basically vetoed every name on my list, so it was back to the drawing board many, many times. Thank goodness Kaiden came to me when it did! THREE– Flying pee is a thing. I read about this before going into labor, and what they say is true. A little baby boy’s anatomy lends itself to some crazy pee antics. Pretty much everyone who’s changed K’s diaper in those early days has been a victim to that flying stream. To this day, I’m super cautious during diaper changes because you never know! FOUR – Boy energy is…A LOT! If we let him, Kaiden can go from whenever he wakes up (the 5 o’clock hour) to bedtime (7:30ish). He never stops moving! When we try to cuddle with him or keep in him in one place for too long, he thinks it’s a game and gets even more revved up! Crazy boy! FIVE – Clothes shopping for a boy is the easiest thing ever. Tops and bottoms and shoes – that’s all you have to think about. 90% of K’s clothes are from Target, and because he’s in daycare M-F, I don’t get super nice things because they are covered in food by the end of the day. SIX – There’s no need for expensive toys. At least not for K because he loves playing with my old containers and balls. He’s happiest with Vishnu’s old soccer ball, my Barre3 ball, and a $4 Target bouncy ball I bought a year ago. The more ‘expensive’ toys we own are stored away in his storage lockers. They get air time when we bring them out, and even then, the balls soon take over! I’m sure the era of expensive toys is coming soon, but I truly hope to instill a love for simple things in Kaiden…we shall see! SEVEN – I LOVE being a boy mom. For someone who was super nervous a little over 21 months ago, I settled into this role much more smoothly than I thought I would. I love all the roughhousing, the sweet mama and Kaiden cuddles, the crazy amount of energy, ALL the ball playing, etc. SO MUCH FUN! Like I said, I wouldn’t change a single thing! Kaiden was meant to be ours! But I am keeping it real with the flying pee…that’s totally a thing! If you follow me on Instagram, you know that we FINALLY got rid of Kaiden’s pacifiers. What I thought would be this long drawn our process ended up being something we did in a day, and just like Vishnu said, K adjusted just fine! Well, on one hand, you’re absolutely right. It should be that simple. Except in our kid’s case. He was obsessed with those things. To illustrate my point, imagine this. Kaiden needed 3 pacis at all times. One for his mouth and one in each hand. If the one from his hand slipped through the rails of his crib and fell out, he would wake up screaming. Never mind the fact that the one in his mouth was still there. Oh man! It got to the point where Vishnu and I had to put together a plan and set a date. And then Vishnu aborted the mission and just took the pacis away while I was at a Soul Cycle class. I came home and was a little upset with him because no paci equaled no nap that day. BUT, to my husband’s credit, everything worked out just fine. That night, while Vishnu was giving K a bath, I literally threw away every pacifier I could find (fingers crossed I found them all!). When it was time for Kaiden to go to sleep, we walked around the kitchen and showed him they were gone and gave him his Curious George doll to hold instead. Because he was so exhausted, he fell asleep right away. He slept through the night but woke up at 4:30 am. A similar pattern occurred the rest of the week. He would go to sleep just fine but wake up between 4-5 am. I. Was. So. Tired. He’s still waking up in the 5 o’clock hour, but we’re trying a few things to push that back a bit. We’ll see if we’re successful. If not, I’m just going to chalk it up to the fact that Kaiden, unfortunately, got my early bird genes! One note – while we went with the cold turkey approach, a lot of parents end up cutting the tip of the pacifier little by little until it becomes useless OR they poke holes in the tip until it stops doing its job. We went with cold turkey because of the whole paci in each hand thing. And Kaiden really is an out of sight out of mind kind of boy. As far as the unintended consequence from this whole thing goes, I think getting rid of his pacifiers has made him a tiny bit more independent and less needy. Instead of asking me to hold him all day, he actually plays on his own and entertains himself 10x better than he did before. I have no idea if these things are related, but both Vishnu and I feel that the pacifiers enabled more whiny behaviors. Now that he can’t attach those things to his mouth all day long, he’s breaking other attachments too. But don’t worry, I still force my kisses on him! If you’re at a point where you feel like the pacis need to go, just go for it! It might be painful for up to a week, but kids adjust so quickly. I was telling Vishnu how I feel like a huge weight has been lifted off my shoulders now that we just did it. He told me to thank him! HA! Routine is key in our household. If we stray a little too far to the right or left, everyone feels it! But in all seriousness, after having Kaiden, I’ve become a full fledged believer in the power of routines for children. They thrive when they know what’s coming. I’m not saying a little spontaneity shouldn’t be added to the mix every now and then, but I do think having a pretty predictable evening routine whenever possible sets the foundation for good sleep. Welllll….maybe, maybe not. We’re still working on that sleep thing! Anyways, I thought I’d share our evening routine, not because it’s perfect or the way everyone should do things, but because I’ve gotten a few requests to share things like this more. I’ll admit that I also love reading about the behind the scenes of people’s lives. It’s the little nosy person in all of us coming out! 4:30 pm – Vishnu or I pick up Kaiden at daycare. If Vishnu goes, I use that time to clean up around the house, fold laundry, and/or start dinner prep. 5:00 pm – We arrive home, drink some milk (Kaiden), and start to pull out all our toys (also Kaiden). 5:30 pm – I begin/continue prepping dinner. If Vishnu’s not home, this is a hit or miss for me because when K doesn’t have my full attention he basically attaches himself to my leg. I’m still trying to figure out the best way to pay attention to him and get stuff done. Work in progress! Anyways, the main entree is usually done for the most part, so this is mainly roasting/chopping veggies. After I’m doing that, we continue playing some more until dinner time. 6:15 pm – Time to eat! I’ll be honest, dinnertime still gives me some anxiety. It’s hit or miss in terms of how much he eats. But I’m trying to trust the process in that K will eat however much K needs to eat. I do find a lot of relief in the fact that he eats a lot at daycare. So he’s definitely not starving! 6:45 pm – Bath time! This is one of my favorite parts of our evening routine. Kaiden loves the water and splashing around, so it’s a great time to let loose and have a little fun. 7:00 pm – Kaiden is usually in his PJs ready for story time. We turn off all the lights and settle in on the couch to read at least 10 books (some all the way through, but most only partially because K gets bored!). 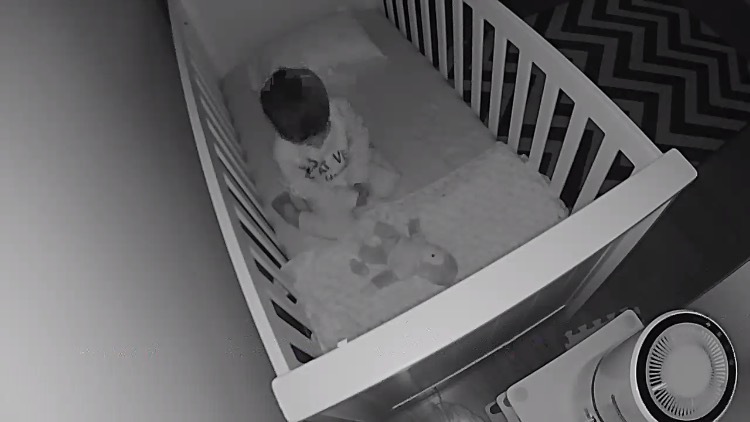 Right before we sit down, I also quickly set up his room for bedtime – humidifier on, air purifier on, lavender oil dabbed all over his crib, etc. 7:25 pm – Time to brush K’s teeth! He doesn’t love this but he tolerates it because he likes the toothpaste. Ha! 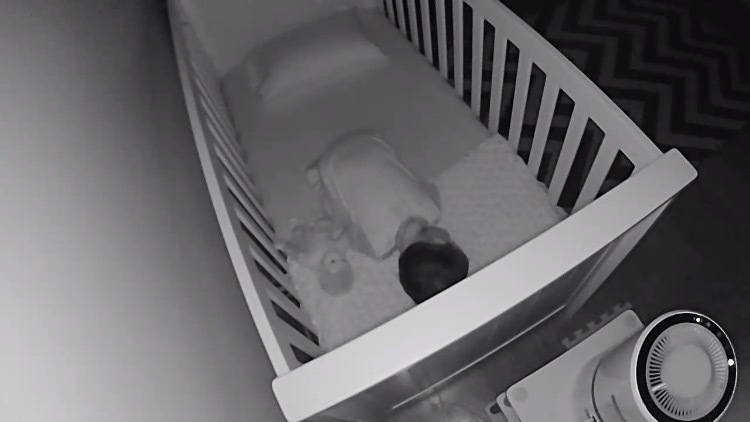 7:30 pm – Kaiden’s down for the night. 9/10 this is a pretty easy process. I put lotion on K’s face and some Badger Balm on his nose and neck. Then I hold him in rocking position, sing “You are My Sunshine” a couple of times, ask him if he wants to be put down (he nods yes) and that’s that! Very rarely he’ll put up a fight which requires more rocking, shushing, etc. 8:00 pm – Vishnu’s usually home by this time (he’s been staying at work to study until about 7:30 most weeknights). The kitchen is clean and everything else is usually in order (i.e. K’s toys!). We sit down to catch up, do work, watch TV, etc. 9:30 pm – I brush my teeth, go through my skincare routine, and get into bed to read for 15 minutes. 10:00 pm – Lights out…time to SLEEEEEEEPPPPPP! So tell me, what’s your favorite part of your evening routine? Happy FriYAY! I’m back with yet another ‘Diary of a Working Mom’ Q&A! Like all the others, today’s interview is full of insights and ‘yessss…me too!’ moments. Ami and I know each other via her cousin Monica, who is one of my good friends from college. I really loved Ami’s fun loving personality the couple of times we’ve met, and through the magic of social media, I’ve been able to keep up with her motherhood journey. Enough of my rambling…here’s Ami! We have the boss of the family, Alina (3), her trusty sidekick/little brother, Dilan (1), and, and of course, my husband Jay and me (Ami) – who are just along for the ride. It’s the same thing I have to remind myself everyday – be flexible. Every day isn’t going to go to plan. Some days will be perfect – they’ll eat every bite, nap and be full of smiles. Some days the dishes will pile up, the toys will take over, and the work never ends. At the end of the day, we are all happy and healthy and it all works out. If I’m being honest, I have lots of guilt. I have wife guilt. I have friend guilt (if you’re reading this – I saw your text, I love you, and I will text you back in approximately 5 years). I have daughter guilt, but I don’t have mom guilt. I know from the deepest place in my heart that I everything I do, I do for Alina and Dilan. I work so Alina knows that she can be whatever she wants too and it’s possible to be a mom and have your identity too. I sneak a date night with Jay so the kids see Jay and I are a united front, and we do actually like each other. I know I try my best every day, and hopefully, when they are old enough to understand, they will see it too. The most surprising is by far, how hard it is. Don’t get me wrong – I knew it was hard, but it is like REALLY, REALLY HARD. So kudos to all of you – my Mom, my sister in law, my friends and to all of you reading this right now – for making it look so easy and tricking us all into have kids and working. The most rewarding is how pure and unconditionally they love me. For everything I did or didn’t accomplish that day, they don’t care. They love me just the same. Jay and I just aren’t in a season of life where there is as much opportunity for “me time” as we would like, but small wonders – like a long, hot shower – go far. Also, I travel decently often to work (to great cities with great restaurants) and I take full advantage of my kid-free time (while my sweet husband holds down the fort). My guilty pleasure list is longer than it should be – but dessert, a cold Cherry Coke, hanging out with Jay, and mindless TV often top the list. The good and the “bad.” There will be a day where Alina will pee somewhere other than my hardwood floors, but there will also be a day where she doesn’t yell “MOMMY IS MY BEST FRIEND” at the top of her lungs. There will be a day where Dilan will not wake up at an ungodly hour, but also a day where he won’t want to spend every waking moment with his Mommy. I just try to soak it up and remind myself every day, one day I will miss this. 10. What’s the best piece of advice you received when returning back to work after having your baby? There were so many days, especially after I had Alina, that I just felt overwhelmed and like I couldn’t handle it all. But the truth is my Mom, like many women before her, did the whole Mom thing before iPads and Amazon, working 12 hours a day, with her Mom a half a world away, and without swaddling expertise of my husband. If she can do it and thrive, then, I can certainly survive, right? 11. What advice would you give to mamas-to-be about returning back to work? As my mom would say if she was here, “You can do it!” Just remember, a new routine is an adjustment for everyone. It may take a little time, but you’ll hit your stride and find a schedule that will work for everyone. If you’re happy and healthy, you’re doing something right. Ami, thank you for taking the time to share your heartfelt responses! Your little crew is very lucky to have a mama and wife like you. Janet Lansbury’s book No Bad Kids didn’t necessarily change how I view toddler discipline and interaction, but it did provide me with some tools and ideas for how to better manage myself in tantrum situations. I think this book is a great one for those who want to discipline in a respectful way that doesn’t bring guilt. If nothing else, I promise you’ll walk away with a few tricks up your sleeve. Be the CEO your kid needs. When you think of how you want to be led, I’m sure the words calm, confident and guiding come to mind. Well, be that kind of leader for your kids. In my short 20 months of parenting, I’ve seen how Kaiden really is a mirror to what Vishnu and I are feeling and how we’re acting. Speak in the first person. This one is hard for me. For example, instead of saying, “Give that to mama,” you should say, “Give that to me.” I always say mama and not me or I! But I get where she’s coming from with this. Direct and clear communication is the best way to go. Treat your kids like the mini adults that they are. Talk to them like you would a friend, your spouse, your parents, etc. Janet is not about that baby talk life. She thinks parents need to speak to their kids like they do everyone else. This allows them to feel equal and like everyone else. In that same vein, parents should acknowledge their kid’s feels and point of view. This makes total sense to me. When I’m angry, I don’t want someone to assume that they know what I’m feeling or ignore me or try to tell me I should feel differently. So why would we do that to our kids. And acknowledging doesn’t equal accepting. It just means that, even if you disagree with the why, you still understand that your little person has a point of view. On a related note, you have to let your kid feel what he/she is feeling without intervening. This one is hard for me. Sometimes because I don’t want K to cry, sometimes because it’s annoying. But I’ve personally seen how quickly the tantrum decelerates when we let him get his feelings out versus interject with our own thoughts. No matter how frustrating for the parent, tantrums are a call for help. Your kid is trying to tell you something, and unfortunately, throwing a tantrum is the only way they know how to communicate. Instead of fighting it, try to figure out where it’s coming from. Be matter a fact and unwavering in how you communicate. Kids are smarter than we think. When we get emotional, they get emotional. When we say yes one day and no another, that signals that we can be worn down. It’s certainly no easy, but this gives your kids the structure they need to navigate boundaries, explore, and test limits. This summary does the book no justice whatsoever, but as you can see, there’s a lot to unpack. Let me know if you decide to read it. Would love to hear what others took away, and more importantly, what tips really worked for you! Sejal Shah – Founder of Bolo Bolo Baby and Soon-to-Be Mom of FIVE! My passion around sharing my fellow mamas’ stories is only growing! Moms seriously amaze me. It’s incredible what they can accomplish in 24 hours, only to do it again the next day. Today’s guest blogger, Sejal Shah, is someone who continues to amaze me with her creativity and patience, her ability to connect with her children, her children’s grasp of the Gujarati language, etc. Oh and did I mention she recently started her own company and is soon-to-be a mama of FIVE! When I started this journey of blogging and social media, I was a mom who recently quit her corporate career to raise a little boy. At the time, I was passionate about sharing my journey of motherhood; little did I know then that I was actually sharing the very essence of who I am and what is important to me which I was passing down to my child – my Indian-ness. Today, I am a mom to four very Gujarati kids (soon to be 5 – it still sounds so surreal, ahh!) , Insta-blogger @sage_ness and the Founder of Bolo Bolo Baby. The journey of motherhood led me to pursuing my passion. Instead of telling you the WHAT about my business, I’m going to share the HOW because the number one question I get on a daily basis is, “how do you do it?” How do I raise four kids (five, five, five), launch a small business, find time to pass on Gujarati/Hindi language & culture to my kids, share all that I do on a daily basis on Instagram and manage to make homemade meals! Honestly, I never know how to answer that question, nor is there a simple answer. Instead, I keep sharing with you, my fellow moms! I share anything that helps me be more productive and efficient with my time in order to be better to myself personally and professionally, to my family and to the community. We all are juggling and hustling in different ways and knowing we can all support one another in this virtual world is part of the modern day “village”. So for those of you still reading, my fellow moms, my village – this is what keeps me going and this is how I pursue my passion while being a mom. I am grateful to be surrounded by other women and entrepreneurs who inspire me to keep at it! (Saving the best for last – so keep reading, or skip my ramblings and go to the bottom). Also, please note the following does not account for the endless cups of Chaa/Chai that are consumed throughout the day, the countless hours of sleep sacrificed and all the deep breaths!!! ROUTINE: With the kids especially, I need a routine so I can have predictability in my day. This is the only way I am able to make time for everything else I want to do. More importantly, the kids THRIVE knowing what to expect. Children are creatures of process and order, so when they know what to expect, it makes for smoother days (read: less nagging and tantrums)! Our routine revolves around two main things FOOD & SLEEP. This includes four key time slots: lunch time, nap time, dinner time and bedtimes. The exact time of these will vary every now and then, but the order never really changes! So for example, they know that as soon as lunch is done, they have a little time to play before we go up for naps! KEEP IT SIMPLE: Some days we eat the same thing for lunch and dinner. Many weeks we pick our laundry from the basket instead of folding it. Most days the kitchen gets cleaned at the end of the day and not after every meal (if you show up during the middle of the day – judge me all you want). And some of our staple foods are made in bulk to simplify our days like the much requested homemade & healthy pancakes . Our home is a Montessori inspired home. What exactly is this? Dr. Montessori said, “Education is a natural process carried out by the human individual, and is acquired not by listening to words, but by experiences in the environment.” The first environment for children is their very own home. This is where they experience the beginning of life! We encourage, invite and trust our children to participate in and be a part of our home. They have access to cooking, doing laundry, cleaning or just being. By cultural norms, we often associate these household chores as things we do for our child to create a home environment, which limits them from exploring these every day spaces. Dr. Montessori reminds us to “Never help a child with a task at which he feels he can succeed.” When they climb atop a stool to wash their own hands, cut their own fruit or simply eat their own meal, there is intrinsic joy. They are so PROUD of themselves for achieving these milestones on their own. They want to show us they can do it! Children seek independence as much as we do! It has been so apparent with all my kids that when they have equal access to the things we do, they are more inclined to “help” out and there is so much empowerment, confidence and happiness that is developing in the process. The best part is they don’t feel like they are helping – they are just doing what interests and excites them. To them this is play. BUT for me, as a mom, when they are able to do simple tasks like wash their own hands at the age of two, prepare and mix grains to make our popular #Khichdimix at three, eat on their own as babies so I can attend to other mommy duties and join me in sweeping the floor and cleaning up spills, it really is a few things off my plate! To me, trusting my child(ren) is a long-term investment in their own development, and it’s a huge asset to running a large household and getting stuff done (albeit at a MUCH slower pace for now). GIVING BACK TO THE COMMUNITY: We all do this in different ways but ultimately, however it is and whatever it is, it is always something that makes you feel good and lifts your spirits! This contributes to my overall mental health and happiness! For me, it began with giving back what my parents gave to me – my Indian-ness! I started making cultural activities for my children to learn more about Indian festivals like Diwali, Holi, Ganesh Chaturthi etc. To further promote language and culture I took it upon myself to find ways to promote Gujarati and Hindi in our home through hands on activities and flashcards in Gujarati and Hindi for various Indian festivals. I shared these on my blog with our community for free as a way to provide a resource to our multi-cultural community. They were a hit! Being able to GIVE the gift of language and culture was my way of helping preserve what was given to me. It also inspired me to continue finding ways to preserve our Indian roots & pursue my passion with the launch of my very own company. Recognizing that I am the last generation getting language and culture from the roots (my parents), it is extremely important for me to pass this on to my children. I take responsibility for a lost culture and a lost language. The gift of Indian roots through language and culture is the biggest gift I think I can advocate for and give back to the next generation. PURSUE YOUR PASSION: This is the KEY to my day! As a mom, it’s easy to get lost in the needs of everyone but yourself. I realized the days I spent a little bit of time doing things that excite me, it took my energy, happiness and over all well being to the next level for myself and those around me. When my oldest was about 3.5 years old I witnessed him fluently reading and attempting to write in Gujarati and Hindi. It was the most rewarding and fulfilling experience. I was touched by the power of hands-on and immersive learning. From the basics of speaking to my children in Gujarati to all the other efforts I put into bringing language and culture into our home, I was already seeing the results at such an early age. This is what motivated me and inspired me to take this passion of passing on Indian language and culture to the next level with the launch of Bolo Bolo Baby! My goal is to continue sparking the curiosity of Hindi and Gujarati language as well as Indian culture in every home by making it more accessible to our multicultural generation and most importantly keep it hands-on with our creative and detailed bilingual (Hindi and English OR Gujarati and English) product designs! Our products are designed keeping in mind that many of our generation did not learn to speak or read/write in Hindi and Gujarati, but I don’t want that to be a limitation! We are working hard to find creative ways to support this learning journey for our generation! I hope this passion of my mine ends up being a gift for generations to come! So, if you followed my ramblings for this long then I must ask, what is YOUR passion? And more importantly, HOW are you pursuing it? Come share your journey or join mine because really…it takes a (virtual) village! I continue to share my Motherhood journey with an amazing tribe and my passion through the Bolo Bolo Baby Products. I can’t wait to cross paths with you and be a part of your tribe! Thank you, Sejal, for sharing your journey and experiences. I’m so glad to have you in my virtual tribe and can’t wait to ‘meet’ baby #5! Toddler sleep. What a loaded topic! Before we get to the 16-20 month stage, let me share a little bit about Kaiden’s sleep habits over the past 20 months. Like all babies, he obviously didn’t sleep through the night until about 10 weeks which is when we started using the Baby Merlin Magic Sleep Suit. And then we hit the dreaded 4 month sleep regression. And it was rough…to say the least! At some point, we decided we couldn’t take it anymore and sleep trained K (we used the cry it out method). It worked until I went to Atlanta for Christmas and everything blew up in my face. That was a rough trip! We decided to sleep train him again at almost eight months, and luckily, it only took a couple of nights before he was sleeping through the night again. By no means was he sleeping 7p-7a, but he’d get a decent 10-10.5 hours every night, and wake ups ranged from 4-5:30a. Ok, so let’s fast forward to 16 months when things went wonky again. Kaiden’s teeth came in a little late in the game, so I think a lot of his choppy sleep was due to that. But man, it was rough. The middle of the night wake ups/very early morning wake ups continued until about 19.5 months. Until Vishnu put his foot down and asked if we could let K cry it out again to see what would happen. I’ll be honest, I didn’t always comply. It breaks my heart to hear him cry out like that. But what I learned from picking him up and trying to comfort him is that once he’s in my arms, I have no out. That’s just the kind of kid he is. Also, he equates middle of the night wake ups with playtime. I don’t. So after a week or so of bringing him into bed with us, I finally complied and let him cry it out both at night and in the morning until 6:00 am. And guess what? It took a couple of days, but he’s sleeping through the night again and waking up closer to 6 and sometimes even 6:30 (GASP!). None of this was super surprising, as many of my experienced mama friends told me that sleep changes around 18 months. They weren’t kidding! These kiddos go through so many changes during this time. Physically, we think K’s grown a ton height wise (in our eyes! ), and he’s truly blossoming in other ways too. It’s no wonder he wanted to get up and party so often! Ok, so I’m not advocating that parents of toddlers should use the cry it out method. That’s a very personal decision and not one everyone is comfortable with it. What I am saying is that 1. you’re not alone and 2. it doesn’t last forever. You may have to try an intervention or two before you crack the code, but you’ll find a way. ALSO, I want to share one more thing I’ve been doing that I think helps Kaiden relax before falling and staying asleep. Of course, I have no scientific proof that this contributes to any of the positive changes over the last month or so, and it all may be a coincidence, but I’m not stopping any time soon. Essentially, I put 2-3 small drops of lavender essential oil on a paper towel and rub it all over his crib rails. I also lightly dab it on his crib sheets. Lavender is known to be a soothing scent, and I think it’s working with our little guy. FINGERS CROSSED! On to the next stage. I’ve heard 24-36 months get interesting with the transition to a toddler bed. Send help…and wine…and coffee!